PRICE MATCH AVAILABLE ON THIS WHEEL. CONTACT US FOR DETAILS. The Zipp Super-9 Carbon Clincher Disc is the fastest wheel ever, with the performance and convenience of Zipp’s Carbon Clincher technology. 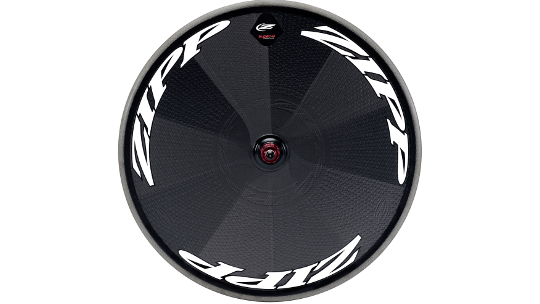 When it comes to disc wheels, Zipp are obsessed with aero excellence. 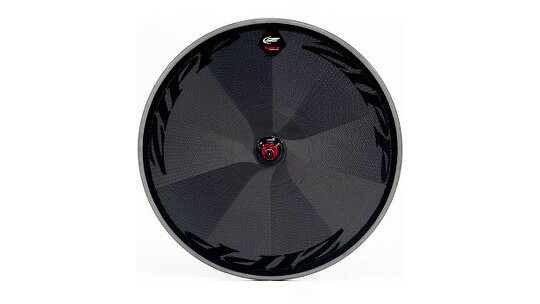 Their quarter-century-long quest for the knowledge of speed allowed them to create the Super-9 Carbon Clincher. The Super-9 Carbon Clincher optimizes supreme aerodynamics, power transfer, stiffness, lightweight and durability -- all with the convenience and low rolling resistance of a clincher, and the results have been validated in the “virtual wind tunnel” using powerful Computational Fluid Dynamics software analysis. Zipp's Carbon Clincher’s non-parallel brake track helps to smooth the airflow transition from the tire onto the disc’s surface, a key piece of the aerodynamics puzzle. The Carbon Clincher brake track combined with the Super-9’s wide profile, which runs virtually the same width from rim to hub, create an ultra aero wheel. Their exclusive resin effectively tolerates the incredible spikes in heat caused by braking to provide reliability and stopping power. You’ll find tire installation a breeze, typically with no tools required. So, just pick the perfect tire for any course and go fast. Compatible with cassettes of up to 11-speed to work with all modern drivetrains. Comes with the new Tangente Platinum Pro Evo Brake Pads, designed to provide optimal braking for carbon surfaces, including a greater surface area for maximum braking power, improved clearance to work with integrated brakes and a new groove pattern for improved braking in wet conditions.